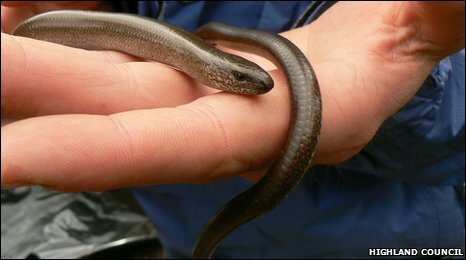 Highland Council have been running a number of workshops with the aim of protecting the flora and fauna found in the Highlands, including reptiles and amphibians. The Community Greenspace Wildlife Audit Project has run in the Black Isle and Easter Ross for the past three years. Part of the Local Biodiversity Action Plan, the scheme was acclaimed by National Amphibian and Reptile Recording Scheme (NARRS) at their recent conference. Training opportunities for those in the Highland area were recognised by NARRS, as well as acknowledgement of the area which had the best take up of people going on to carry out the surveys. It is hoped that the surveys will lead to greater understanding of the places that amphibians and reptiles inhabit across the British Isles. Project workshops in the Highlands, attended by the public, were led by Countryside Ranger, Martin Hind. Hind explained: "Each of the workshops was well attended and led by local experts in their field with David O'Brien showing us how to identify smooth from great crested newts along with other signs to look for when looking for the five amphibian species we have in the Highlands in four workshops." David McAllister led a joint workshop at Dornoch under the same project with the help of David O'Brien. 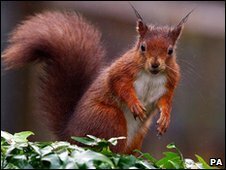 The Community Greenspace Wildlife Audit Project has also run a number of other workshops including sessions for the Scottish Badger Distribution Survey, Highland Red Squirrels Survey and the British Dragonfly Atlas. Martin Hind is hoping that people will contact him with any additional information on reptile locations and numbers. He said: "Martin Gaywood led the two reptile workshops which looked for adders, slow worms and common lizards. The adders proved elusive during the field trips but a few records have been sent in since. Anecdotally people feel that adders are much less common than they used to be unless you know where there are good populations - do get in touch." A National Amphibian Survey in Gairloch is taking place on Saturday 17 April, 1200- 1600. Local amphibian enthusiast, David O'Brien will be showing how to survey for amphibians, after which after which you can take part in a national survey or simply gain awareness of amphibians in your area.